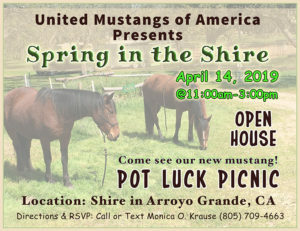 As the founder of United Mustangs of America, Monica O. Krause does much more than transform horses. 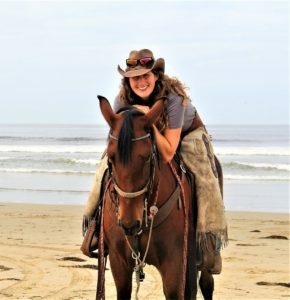 With 12+ years study and practice in the art of horsemanship, she’s dedicated to sharing her wisdom and knowledge with her students. She is humbled by the power of the community changing the world one mustang at a time. It is my mission to change the mindset of the horse world. Typical riders subscribe to the thinking that you have to purchase an already trained horse ready to ride, to ride. There seems to be this mystical gap between “breaking” a horse and riding a pre-ridden one. Truth is that there is not much gap at all, just the void of anyone teaching this art as part of being a complete horseman. To me, horsemanship is not about the horse at all. A horse can only be a horse. When I realized this, I became empowered. That meant that I had to only control myself instead of a 1000 pound animal. I refrain from using the word “control” since control of anything but yourself is truly an illusion. I love to train horses and help people to do the same. Click here to read Monica’s full story on SLOhorsenews.net. Published on October 18, 2018.